Come and commemorate the ANZAC’s landing at Gallipoli. 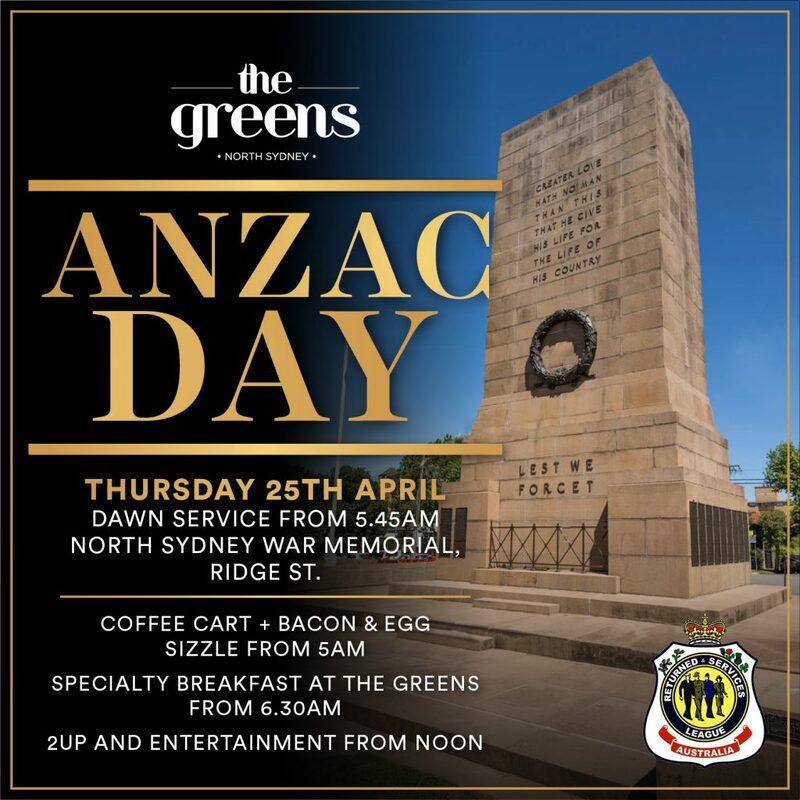 Start your morning off with the dawn service from 5.45am on Ridge Street, we will have a coffee and bacon and egg sizzle available from 5am followed by a specialty ANZAC breakfast available at The Greens from 6.30am. Continue the celebrations into the day with the tradition of 2UP commencing at 12pm as well as live music to ease you into the afternoon. Get in early as we fill up fast on the day.